The Beauty Junkie - ranechin.com: Friday the 13th? What, Friday the 13th on 31st Mar 2010? Haih, it is really a bad start for the day to me. First, my princess is fever since yesterday morning. It started with mild heat below 38 celcius degree, then it gone up to 38.50 in the evening, and in the midnight, her fever went up to 38.8 celcius degree! I was very worried and wished to bring her to the hospital, but we did not. We gave her milk and plenty of water throughout the night, and this morning before I went out to work at 6:30am, her fever was gone down a bit. Since her fever was in control, I then started to prepare to go to work. 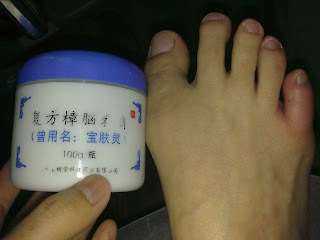 Who knows before I stepped out from the house, my right toe suddenly felt very painful. When I looked at it, my goodness, it's the bee again! The black bee has "biten" my right toe. OMG, this is the 2nd time happened to me in the house. I shouted so loud and the maid quicky took a creme for me to apply. 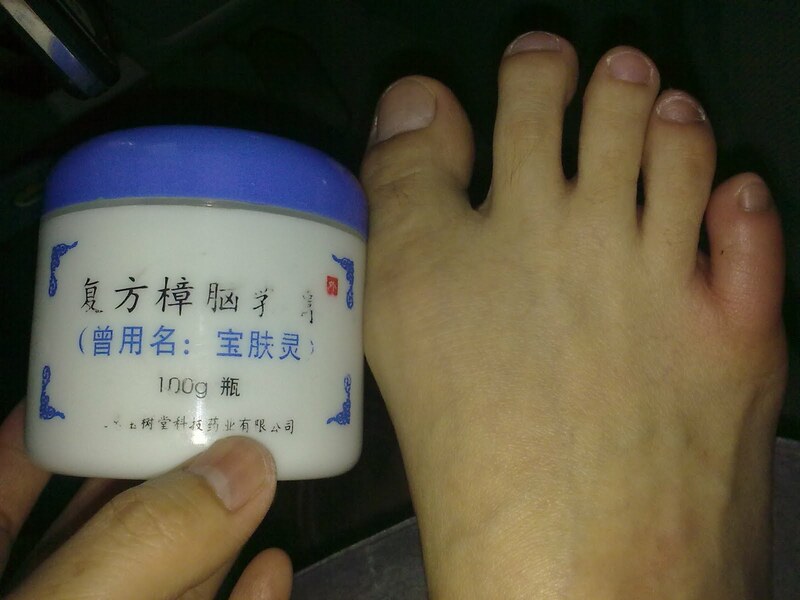 However, my toe is red and swollen since then. The only lucky thing was the car is tinted with v-kool, so the whole windscreen did not break, but a small hole and broken line. 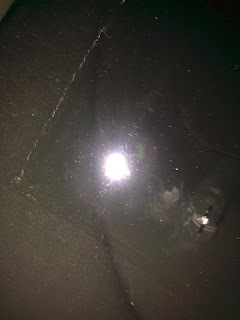 Can you see my windscreen broken at the right corner in this picture? Well, I hope this is the end of my bad luck today, I have had enough of it. God please give me luck and wish to win the lottery today!